We all remember when ‘Jaane Tu Ya Jaane Na’ was released back in 2008. It was every youngster’s favourite youth movie of that time. The whole ‘two-best-friends-falling-in-love’ age-old trope worked its magic again as we saw Aditi and Jai went from being best buddies to realising that they are in love with each other. They might not admit it, but the movie is still a favourite among all. Imran Khan and Genelia D’souza’s adorable chemistry was an instant hit and it won Imran Khan the Filmfare Best Male Debut of the Year award. 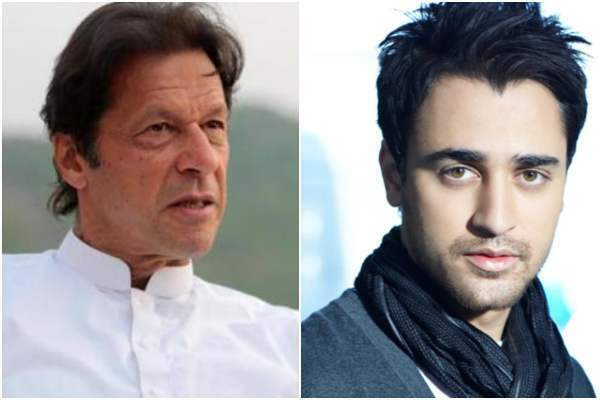 After his successful debut, Imran did films like Kidnap, Luck, I Hate Luv Storys, Break Ke Baad, Delhi Belly, Ek Main Aur Ekk Tu, Mere Brother Ki Dulhan, Katti Batti and many others. His last Bollywood appearance was in 2015 in Nikhil Advani’s Karri Batti. Ever since then, the actor is missing from the silver screen. His fans miss him incredibly at the movies but the actor keeps them posted about his life status on social media. His candid pictures and quirky captions have accumulated quite a cult following on Instagram. In a similar fashion, a hilarious incident happened with Imran the other day when someone mistook him for future Pakistan PM Imran Khan and much hilarity ensued after that.